Perspective. Everything a human experiences, learns and believes is all a product of their perspective. Sharing a new one of Las Vegas is one way you can win Twitpic of the Week. 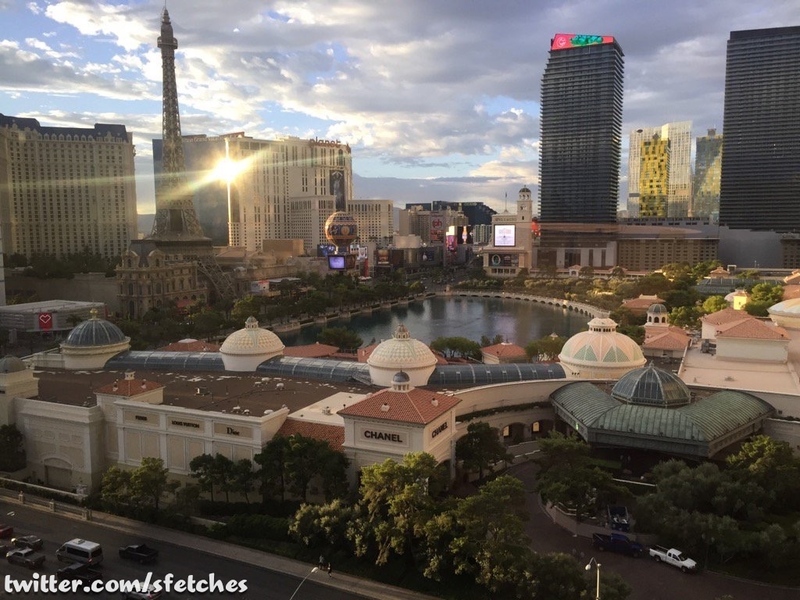 This week @sfetches shared the view from his room in the Augustus tower at Caesars palace and immediately won not only our hearts but a heap of our praise. 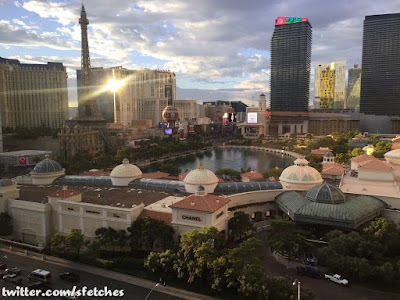 The view, while not capturing nearly as much real estate as the one available at Cosmopolitan, certainly warrants comparisons, taken while the sun makes its way behind Planet Hollywood on its way into the western horizon as the city prepares for the evening.